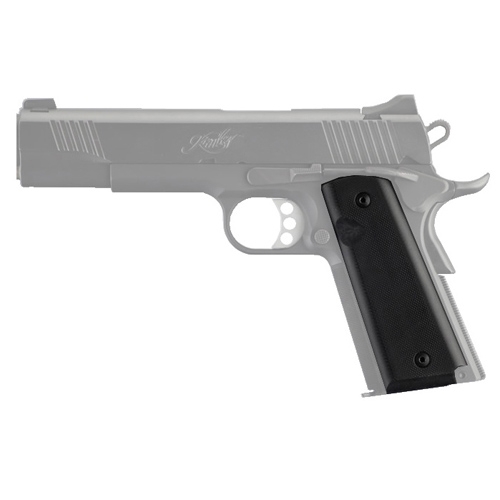 Our Hogue 1911 Black Matte Aluminum Pistol Grips come from the Extreme Series from Hogue. All their aluminum grips are precision machined from solid billiit stock. Not all aluminum is created equal. That is why our Hogue 1911 Black Matte Aluminum Pistol Grips aren't machined from just any aluminum but from Aerospace grade 6061 T6 aluminum. each Hogue extreme series aluminum pistol grips are carefully engineered and sized for the perfect fit plus immaculate form and function. 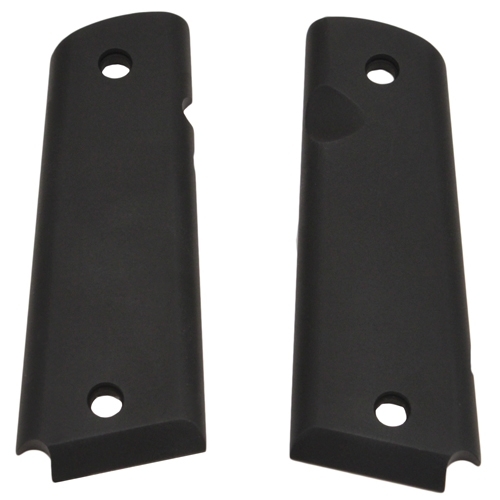 These black matte aluminum pistol grips are perfect for your shooter that has everything.